In a recent post I explored conditions that tend to make designing a project to retire technical debt a wicked problem. And in another post I noted some conditions that tend to make designing a project to retire technical debt a super wicked problem. But not all technical debt retirement project design efforts are wicked problems, and “wickedness” can occur in degrees. Designing these projects can be a tame problem, especially if we target the technical debt for retirement early in its existence. In this post I’ll explore degrees of wickedness in retiring technical debt, and propose a framework for dealing with technical debt retirement project design problems that are less-than-totally wicked. Window blinds with some slats open and some closed. We can think of the slats as the wicked problem criteria of Rittel and Weber. A closed slat is a criterion satisfied by the problem; a partially open slat is a criterion that the problem satisfies to some extent. A wicked problem has all slats closed; a tame problem has at least one slat open or partially open. When many slats are mostly closed, the problem isn’t wicked, but it can be very difficult to resolve. That’s the way it is with most technical debt retirement project design problems. 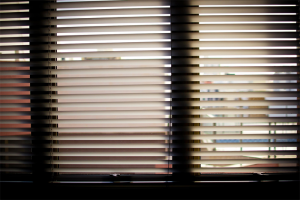 When even one slat is partially open, we can get a peek at the other side of the blinds, and use that information to pry open some of the other slats. Rittel and Webber held that wicked problems possessed all of these characteristics, but Kreuter, et al., take a different view, which I find compelling [Kreuter 2004]. Their view is that wicked problems and tame problems lie at opposite ends of a spectrum. A problem that satisfies all ten of the criteria would lie at the wicked end of the spectrum; one that satisfies none would lie at the tame end. Here by the term formulation Rittel means the set of all the information need [sic] to understand and to solve the problem. By definitive he means exhaustive. The original language of Rittel and Webber, with the interpretation of Burge and McCall, is indeed black-and-white. But one can easily imagine problems that satisfy this criterion to varying degrees. That is, one problem formulation might have almost everything one might need to understand and solve the problem, while another might have almost none of what one might need. In some of these cases, the problem solver might be able to make reasonable assumptions to fill in any gaps and then make some progress towards a solution. Or the formulation as given might be incomplete, but by working on a solution despite these lacunae, the missing information might reveal itself, or might arrive as a result of other research. For these reasons, I find it possible to regard the degree to which a problem satisfies Criterion 1 as residing on a continuum. And I expect one can make analogous arguments for all ten criteria. This “continuum hypothesis” doesn’t conflict with the definition of a wicked problem. Wickedness still requires that all ten criteria be satisfied absolutely. But the position where a problem resides on the Tame/Wicked spectrum can be determined, conceptually, by the degree to which the problem fits the ten criteria of Rittel and Webber. In other words, as we address the problem of designing a technical debt retirement project, we can contemplate and consider the degree of wickedness of the problem; not merely that a problem is wicked or it isn’t. The degree of a problem’s wickedness provides useful guidance. Specifically, if a problem clearly satisfies nine of the ten criteria, but not the tenth, according to Rittel and Webber, it would not be categorized as a wicked problem. Because it might be extraordinarily difficult to resolve, we would do well to treat it as wicked with respect to the nine criteria it satisfies. We would use that information to guide our decisions about where we apply resources, and what kind of resources we apply. The model of wicked problems provided by Rittel and Webber would be useful, even though the problem itself might not meet their definition in the strictest sense. And so we’re led to the concept of the dimensionality of wickedness. This program is too much for a single post. But I can make a start in my next post with descriptions of the indicators of wickedness, including an examination of the implications of each of these indicators relative to the presence of each of the ten criteria of Rittel and Webber. The next step will be to suggest techniques for technical debt retirement project design problems that meet, to some degree, the criteria of Rittel and Webber. [Burge 2015] Janet E. Burge and Raymond McCall. “Diagnosing Wicked Problems,” Design Computing and Cognition 14, 2015, 313-326. [Kreuter 2004] Marshall W. Kreuter, Christopher De Rosa, Elizabeth H. Howze, and Grant T. Baldwin. “Understanding wicked problems: a key to advancing environmental health promotion.” Health Education and Behavior 31:4, 2004, 441-454.